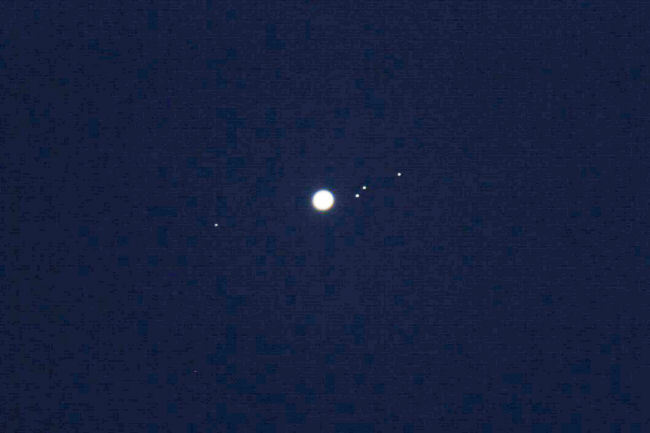 Ganymede, Io and Europa are to the right of the planet. This wider image is over exposed to give an idea of what might be seen through binoculars. 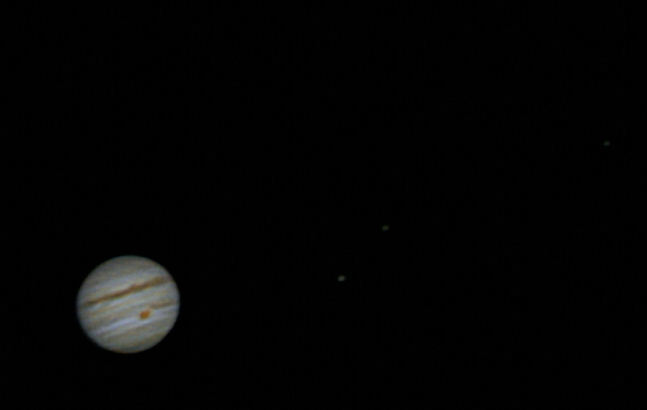 Callisto is the object to the left. All these observations had to be done in a dark blue sky, of course. btw The star next to Jupiter in the sky is Zubenelgenubi - a nice double star through a telescope or binoculars. Using a piece of software called 'WinJUPOS' it is possible to work out the current position of the Great Red Spot using an image. That figure can be used in planetarium software. From the images I took on the 14th June, the longitude of the GRS is currently 292 degrees. I've been snapping the moons but haven't got a decent shot of the planet. The combination of its low altitude and my PC crashing hasn't helped. I will be glad when Jupiter is much higher, but it is going to be a few years yet.